Southwest Virginia was once dominated by the coal industry. Mining in the region peaked in the late 1990s, but has been on the decline since. The slow disappearance of the once-dominant industry has given way to something that people might not expect: outdoor tourism. The natural beauty was always there, of course, it just wasn’t the focus while coal was the backbone of the economy. If you head to the far left corner of Virginia today, you’ll find a huge number of natural adventures awaiting you. 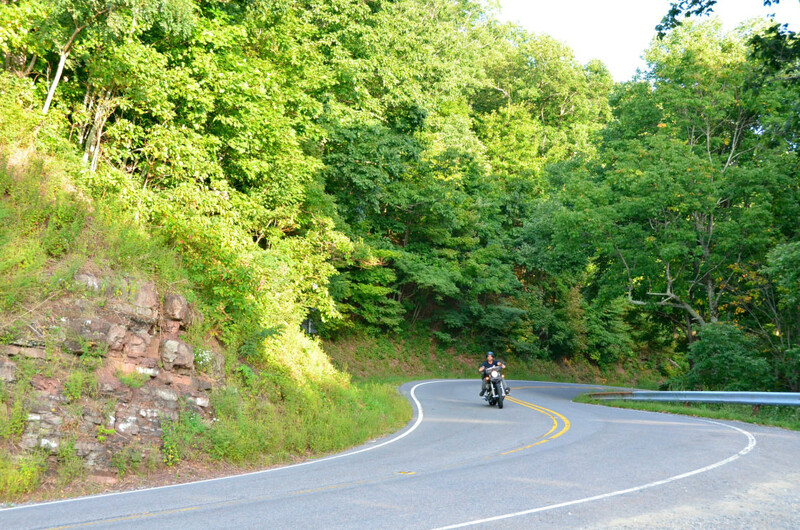 Here are 10 of the best ways to see this incredibly scenic corner of the state. 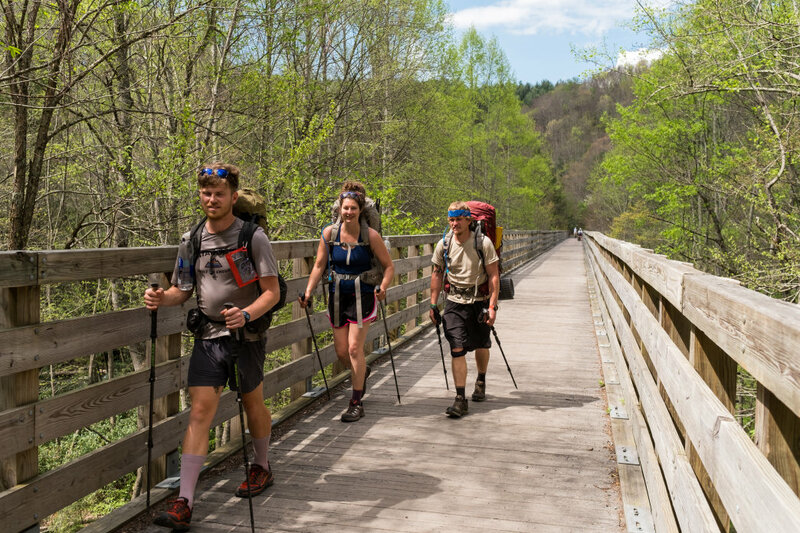 The best place to start a top ten list is with an activity that is both famous and area-specific—hiking on the Appalachian Trail. Of course the whole thing is a whopper that stretches for 2,190 miles from Georgia to Maine, but a significant slice of it passes right through Southwest Virginia. The AT runs right into Mount Rogers National Recreation Area, which is one of very few places on the trail that has a free public shower readily available to hikers (a rare, rare luxury when you’re on a long hike). The park also has a shuttle that costs 50 cents to go between the visitor center and Marion, Virginia, so it’s an accessible place to start or stop a shorter stint on the trail. If you want to be adventurous, pick it up where it enters the region in Cherokee National Forest across the border in Tennessee and trek it all the way to the West Virginia border in Giles County near Pearisburg. It’s a challenging and unforgettable way to experience the region. Mount Rogers is Virginia’s highest peak, so naturally it has to be on your bucket list. Taking off from Grayson Highlands State Park (you can park at Massie Gap), the peak can be reached through a nine-mile stint on none other than the AT itself. The big bonus is that there are wild ponies that fill the park so there’s a chance that your hike could bring you up-close and personal with these adorable and majestic little creatures. 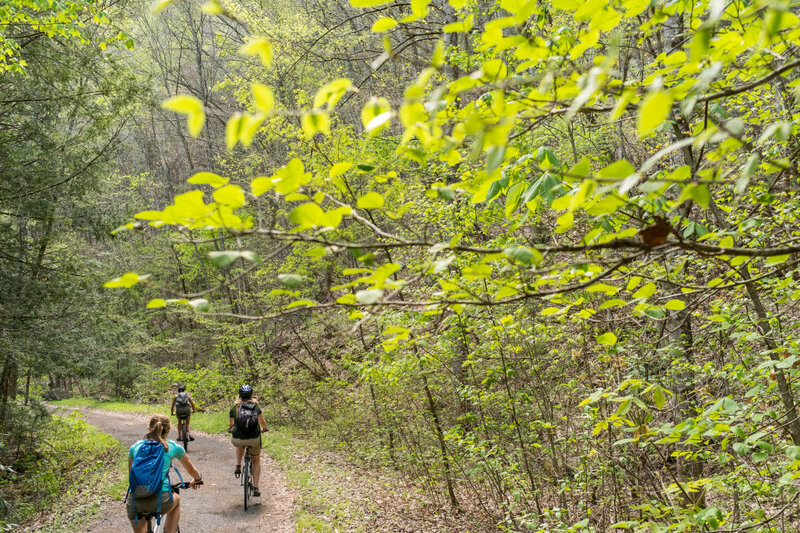 While the Virginia Creeper Trail, a 34-mile beauty densely surrounded by trees, is a multi-use trail, you’ll mostly find it occupied by mountain bikers. The beauty of the trail is that it’s approachable in a variety of ways. You can take a shuttle to the start at Whitetop Station and make your way to Damascus to get an easy, downhill experience pretty much the entire way. The trail levels off a bit from Damascus to its endpoint in Abingdon, but it’s still a relatively leisurely ride. Make it a round-trip and challenge yourself by riding to the top on the way out and relaxing on the way back. The path is well kept, with incredible water views as the path crosses back and forth across Whitetop Laurel Creek. You’ll find plenty of options for bike rentals throughout the region, most of whom also provide shuttle service to the trailhead. St. Paul, Virginia, is the homebase for paddling on the Clinch River. Clinch River Adventures is right there to take you on guided, group floats and kayak trips that range from 45 minutes to seven hours. Tubing, on the other hand, lasts for two hours and is perfect for families—three year olds and up are welcome. The Clinch River is also home to one of the best overnight paddling spots in the state. Otherwise known as Breaks Interstate Park, or "The Breaks" for short, this spot constitutes the largest gorge east of the Mississippi River. Because the spot only officially opened to rock climbers in May 2016, there aren’t too many established routes, which just means there are plenty to be discovered. Expect Sandstone cliffs like what you’d find at Obed. Part of the larger Dragon Series that includes the Head, Tail, and Claw of the Dragon sections, the Back of the Dragon is not to be missed if you’re anywhere near Southwest Virginia. It’s a winding road full of switchbacks that illuminate vast views of the land below the cliff that the road follows for its entirety. Flanking the Back of the Dragon are the towns of Marion and Tazewell—both quaint spots worthy of a visit in their own right. Running along an abandoned railroad the entire way, this 57-mile route is wide, well-maintained, and characterized by a gentle slope that makes it just a bit of a incline challenge. The New River Trail passes by three major bridges and traverses two major tunnels, creating a visually interesting trip throughout. Whitetop is one of the premier streams for fly fishing in Southwest Virginia. In these waters you’ll have the chance to snag rainbow trout and brown trout. While wild trout swim throughout the 10-mile creek, seven miles of it are stocked waters, upping your chances for a catch. The Lincoln Theatre in Marion, Virginia, is exquisite—one of the very few Art Deco Mayan Revival Theatres left in the states. It’s also supposedly haunted along with a few other notable buildings like the Collins House Inn and the Abijah Johnson House, a octagon-shaped dwelling turned non-profit. Take the ghost tour led by paranormal investigators around town and decide for yourself. The Davis Valley Winery started with crafting local wines from their vineyards, but has since progressed to distilling vodka, whiskey, and moonshine. They’ve got original recipe ’shine as well as fruity flavors like Cherry Pie for those with more particular tastes. Not only is enjoying moonshine a rare event for most, the winery is located on a pretty plot of land with great views that warrants a visit on its own.